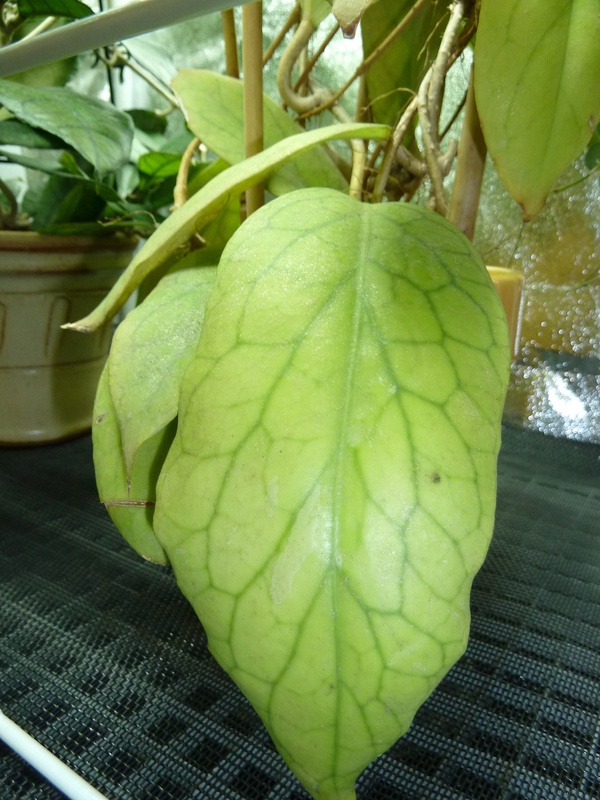 Hoya vitellinoides is a plant known for its beautiful leaf markings, which become huge. It is a native of Borneo. I have not had the plant very long; it arrived from Thailand as a mature plant. It seems to be a very tough plant as the other occupants of the shipment were pretty much cooked, but this plant appeared to be pretty much unscathed. It did nothing for a few month and is now actively growing and responding very well to the grow tent, and has just bloomed on an old peduncle. A nice plant to consider if you are looking for a tough, large-leafed, beautiful species to keep. 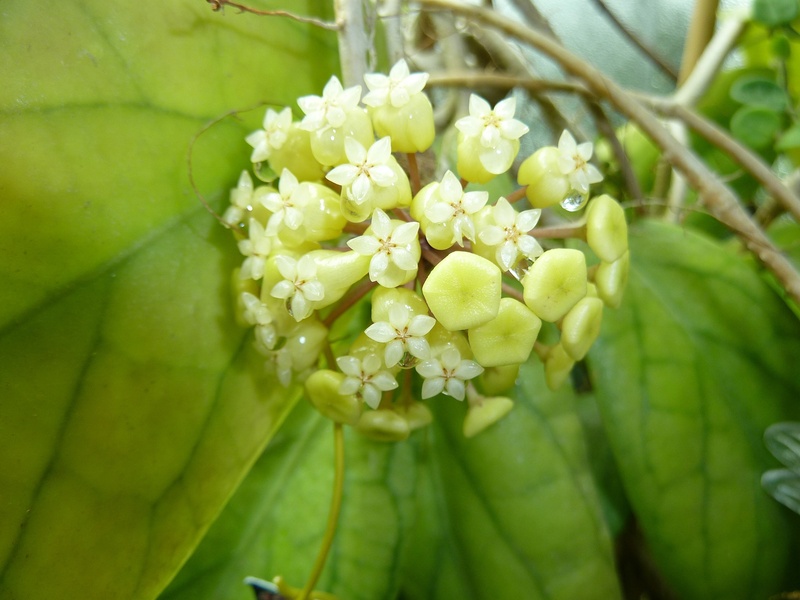 **New** Here is a video appreciation of Hoya vitellinoides taken over the Summer of 2012 and uploaded to You Tube on the next to last day of December 2012.